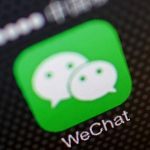 WeChat might not seems too popular in the US, but this messenger app is a big hit on its home country, China. With over 50 millions of registered user using this app, it is no wonder that WeChat gains a huge user base and have been regarded as one of the alternative apps than other messaging apps. There is a good reason on the success of WeChat app aside from its huge user base in Asia. WeChat also packs up a lot of interesting features that is new at the time it was launched. Backed up with an effective marketing strategy, it is no wonder that WeChat should be considered as your main messaging app to be installed in your phone. Arguably the most marketed feature in many of its Asia countries television advertisement, WeChat offers an audio message within your conversation where you just need to push the big record button to record your voice and send it to your conversation partner. This feature, dubbed live conversation mimics the way on how an audio message works in using walkie talkie. You can hear the conversation again and again by pressing the audio messages until it expires in two weeks after the sending time. With the latest updates, many new features have been added into WeChat to maximize your chatting experience. Various popular character ranging from Disney and Nickleodeon characters to web characters such as Pusheen and Tuxi are available to purchase as an animated sticker emoticons. 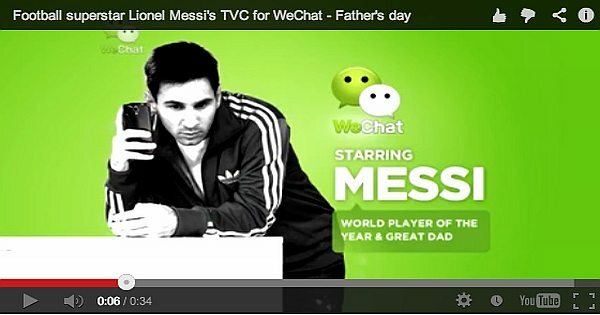 A web version of WeChat is also available to browse on the internet and with the addition of video call features has been added to both mobile and website platform. Not only that, WeChat also allows an ample amount of integration within your social network account from Facebook and Twitter, creating total assimilation with the person you know from various sites and circles of social connections. WeChat might be offering the just same features as every other messaging apps has to offer, but with its large user base and continuous, effective marketing plans and advertisement, WeChat might stand on par with Whatsapp in dominating the market of messaging apps. Give it a try, and let us know what do you think about WeChat. ‹ Why use WeChat App?